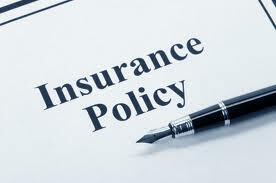 Understanding insurance can often be like trying to learn a foreign language. Many find it confusing and intimidating. Fortunately, there’s help. Here is a quick reference designed to help you understand some of the most common kinds of coverages. is coverage for injuries to you and your passengers when there is an accident and the other driver is both legally responsible for the accident and considered uninsured or underinsured. It also pays if you are hit by a hit-and-run driver. is coverage for your insured auto if damaged by an uninsured motorist or hit-and-run driver. Collision. When you buy collision coverage, your insurance company pays for damages to your vehicle if it collides with another vehicle or object. Collision coverage involves a deductible amount you select when you purchase your policy. This amount is what you are required to pay before your insurance company starts picking up the tab. Remember, the deductible amount is the amount you need to pay in the event of a claim. Personal Injury Protection (PIP). PIP covers your medical bills and lost wages, and personal services you must pay someone esle to do for you as a result of a car accident. North Shore Insurance can help you determine the price, coverage and service that best meets your needs.